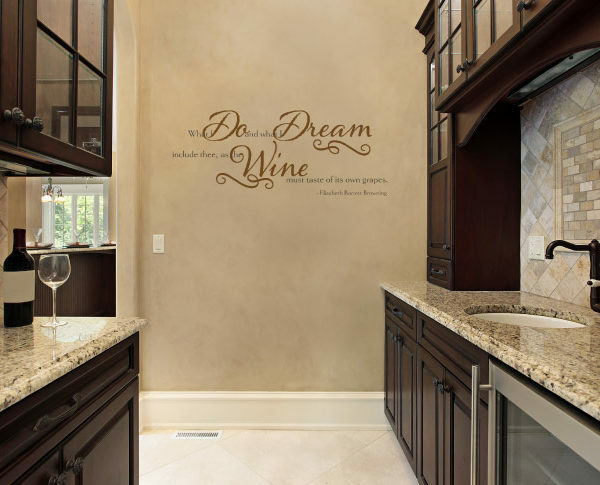 Are you looking for a creative way to decorate the wall space in your kitchen? Look no more. We have the solution! 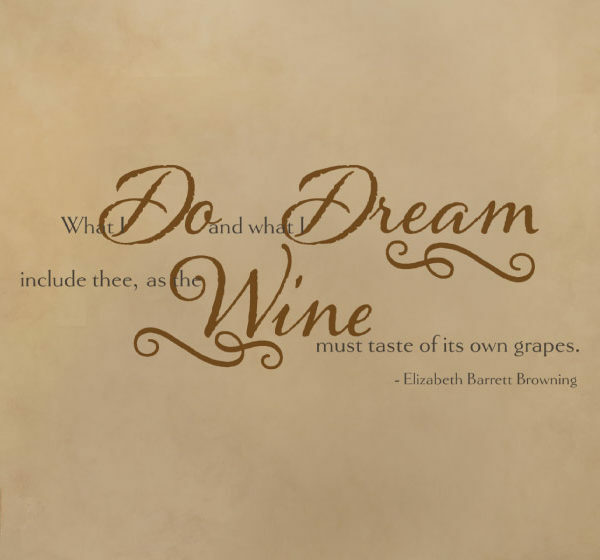 ‘What I do and what I dream include thee, as the wine must taste of its own grapes. 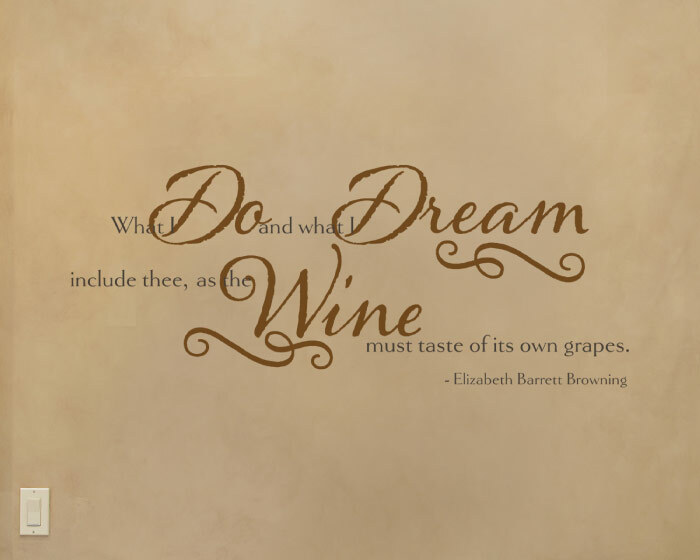 – Elizabeth Barrett Browning’ wall words are suitable for this room. They tie in with the marble countertops and the cabinets. 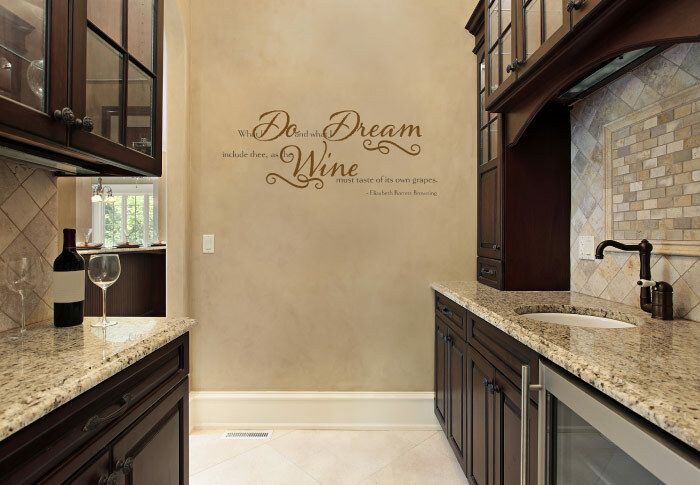 Wall decals such as this one turn a drab wall into an amazing piece of art! What a fun yet creative way to decorate! Try WiseDecor products for all types of walls and spaces! 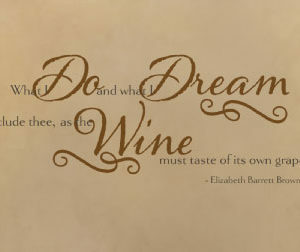 They are affordable and custom made to suit your wall space and personal style. For well-lit spaces like this one, we recommend that you choose our matte wall quotes. Not only do they deal with the glare issues that arise with strong light but also enable you to decorate in style! Do you live overseas? Worry not: we ship worldwide! You too can be the proud owner of high quality and unique wall decals! Do get in touch. Let us help you decorate with showstopper decor!